During the past 24 hours, we recorded no use of heavy armaments by Russian-terrorist troops in Donbas; however, militants continue armed provocations using automatic small arms, RPG, 82 mm mortars, AGS-17 automatic grenade launchers, and ZU-23-3 anti-aircraft guns. In addition to that, terrorists continue actively scouting out the combat positions of Ukrainian troops, using aerial drones and sabotage and reconnaissance groups. 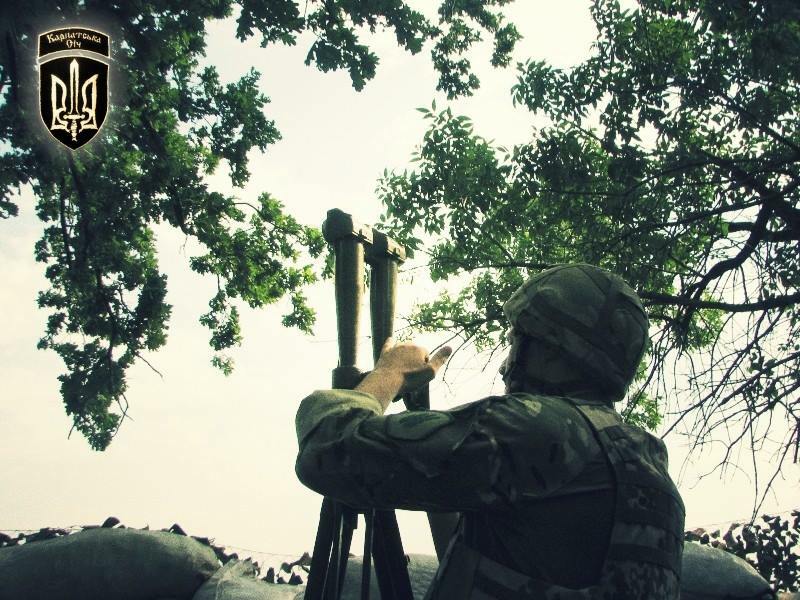 Specifically, southwest of Shchastya, militants fired several unaimed shots from 82 mm mortars in the direction of Ukrainian troop positions (according to our data–in order to provide cover to the militants’ observers operating in the “neutral zone”). In the vicinity of Raivka, several militant groups were spotted on the move; they did not open fire. Between Krasnohorivka and Mar’inka, militants fired small arms chaotically for 15 minutes, and fired several shots from an AGS-17. Between Opytne and Avdiivka, militants opened fire from heavy machine guns several times, and used RPG with high-explosive shells against one of the Ukrainian troop strongholds located beyond the ring road. Strange actions by a militant group were observed on the stretch between Rozsadky and Sanzharivka. Namely, the enemy, acting without coordination, would demonstratively advance towards the positions of Ukrainian troops, open chaotic small arms fire, then retreat, with the same lack of coordination. The terrorists were either “road testing” the new reinforcements, or were acting while in an inadequate [intoxicated] state. In the vicinity of Krymske, the enemy opened fire from ZU-23-2, machine guns and submachine guns, firing towards the ATO forces’ stronghold. Between Hranitne and Mykolaivka, militants opened unaimed fire from machine and submachine guns, several times. 2) in several districts of Donetsk (Kyivskyi, Kuibyshevskyi, Petrovskyi), convoys of vehicles and combat equipment (including tanks) were spotted on the move. One of the convoys included 11 armored vehicles (4 of which were tanks). The other convoy consisted of several army trucks carrying artillery guns (a 6-gun D-30 howitzer battery was transferred to the northern part of the city), escorted by six BMP-1 and BMP-2 infantry fighting vehicles. Also, a convoy of three BTR-80 APCs and 10 trucks drove to the eastern part of the city. Insurgents continue their efforts to camouflage their tactical reserves. In the vicinity of Komsomolske (area of Starobesheve), a unit of BM-21 Grad MRLS (6 systems), which had been previously deployed in the open, moved into the nearest forested area. On several sections along the Bakhmut motorway, militants are actively constructing shelters and revetments for personnel and combat equipment, including tanks. According to the data of the IR group, terrorists are equipping the area south of the settlement of Frunze for a concentration of 2 battalions.